A reference flow chart for converting lore cards with study. 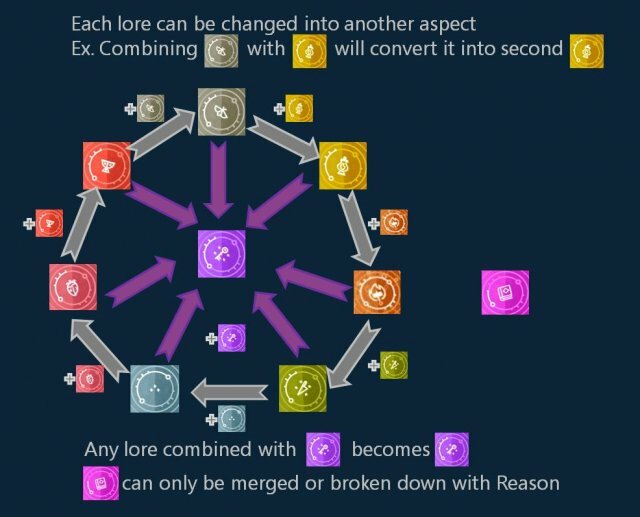 As a true follower of St. Hydra I decided to share a simple reference chart for combining lore cards. It is done via the studying. Every lore card can be studied in combination with another lore card of the same level. Ther result will be a new card of higher level. Every lore card can also be converted to another aspect. This is where the chart comes in. 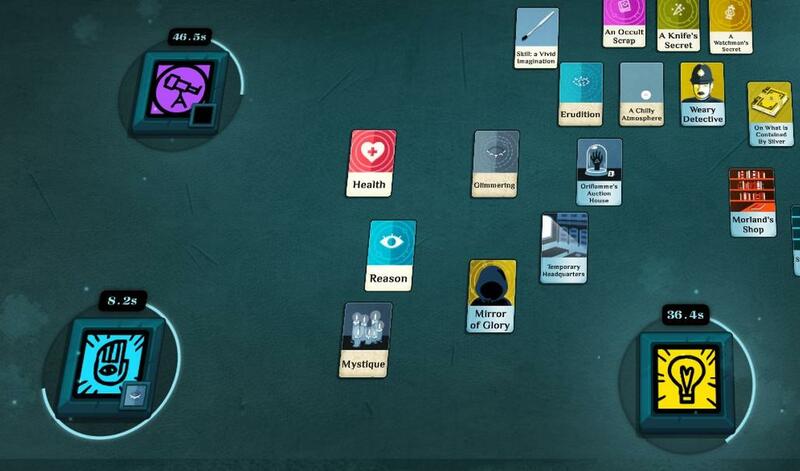 Also every higher level lore card can be broken down into to lower levels by studing with Reason. Moth level 4 can be converted into Lantern level 4. For this you need to study Moth level 4 together with a Lantern level 4. Result will be that you will have 2x Lantern level 4 that you can then combine into Lantern level 6. Every lore card can be converted into Knock. 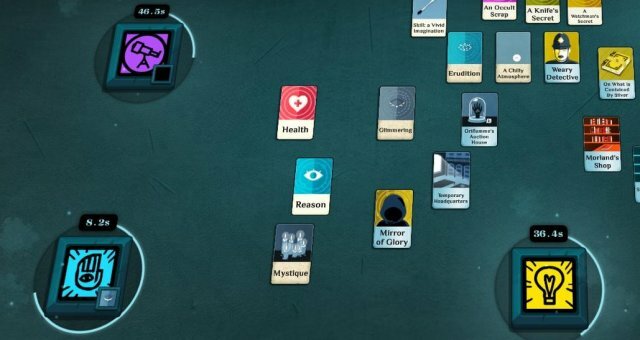 Secret histories can not be converted. I usually keep on Passion open just to be on the safe side.